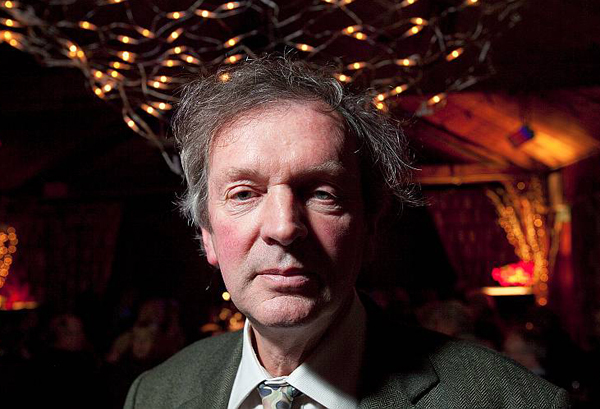 Without doubt, our most cerebal speaker so far was Rupert Sheldrake, the science writer and broadcaster who has a doctorate in biological research from Cambridge. In the past, Rupert has been branded “the most controversial scientist on Earth” on the basis of many of his theories, including his radical idea of memory in nature. In a complex opening gambit, he explained his hypothesis of "morphic resonance", in which all self-organising systems, including plants and animals, contain an inherent memory and all human beings draw upon a collective memory - and, in turn, contribute to it. Rupert suggested that even individual memory depends on morphic resonance rather than on physical memory traces stored within the brain. He claimed this hypothesis is testable experimentally, and implies that the so-called laws of nature are more like habits. One of the predictions of this hypothesis is that closely bonded members of animal and human social groups should sometimes be able to communicate telepathically, and Rupert's research with dogs and cats suggests that pets can often pick up their owners intentions, even when they are many miles away. This was, perhaps, the more accesible section of his enthralling talk and it was some comfort to most of us that we could understand his ideas that the mind is not merely contained within the skull and stretches far beyond it, picking up signals from far away. Rupert, a fellow of Clare College Cambridge and a research fellow of the Royal Society, has found that the commonest kind of telepathy in the modern world occurs in connection with telephone calls - when people think of someone for no apparent reason and that person calls soon afterwards. Rupert also showed a DVD of his experiments with The Nolan Sisters, in which the youngest sister - Coleen - sat alone in a hotel room whilst her siblings called her in a random order. In most cases, she was able to predict which sister would be calling her, suggesting this was not just a matter of coincidence. Rupert is the author of more than 80 scientific papers and several books, including A New Science of Life and Dogs That Know When Their Owners Are Coming Home. Rachel Phipps, who runs the excellent Woodstock Bookshop, supplied his books and the captivated members of the audience bought £270 worth of his books - a recompense for travelling all the way from Hampstead to deliver his talk in poor weather. Proceeds from the evening were £470, giving a total of just under £7,000 for the Talks Project at the end of 2009 after thirteen talks - with six more evenings to come before the end of our second season in June.